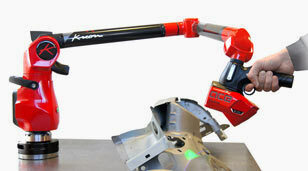 The Ace Skyline Kreon 3D measurement solution, which combines Ace measuring arm with Skyline scanner, is enlarged with new scanners. 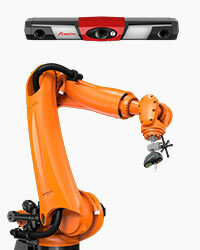 Thereby Skyline scanners now come in three models to create the new Skyline scanners range: Eyes, Wide and Open. Being based on a common technological platform, Skyline Scanners are not only incredibly powerful but also reliable, robust and suitable for most work environments. All 3D scanners in the Skyline range give an optimal accuracy, even on shiny reflective surfaces, owing to blue laser fineness. Furthermore they are equipped with temperature compensation to avoid pre-heating and to maintain a constant accuracy. 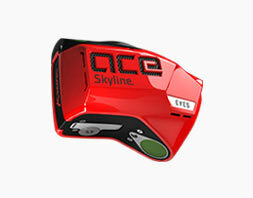 Skyline EYES is the most accurate scanner of the range. With a 25μm resolution and a 9μm accuracy, the Skyline EYES catches the eye on the most challenging parts and applications. Skyline 3D scanners are fast due to a large laser line width which allows to decrease the scan passes’ number on the part. Their frequency performs faster movements, while their high acquisition speed quickly gets dense point cloud. 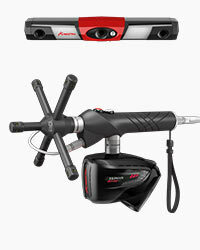 Ergonomic „push and pull“ handle provides fabulous scanning efficiency and enables an effortless work. Given its 200mm laser line width and 600,000 points/sec acquisition speed, Skyline WIDE is the fastest of the range. It is wide-awake to scan large surfaces at high speed. Choosing Skyline 3D scanners means gain of time and money. It is possible to scan longer without effort owing to the 3D scanner lightness (weight less than 400 g). 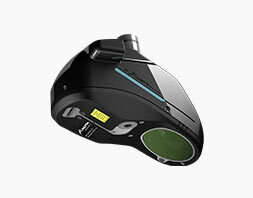 Reaching and scanning hard-to-access zones of each part becomes easy thanks to compactness. Besides the scanner is rapidly removable without any tool to accelerate the probe mounting and thus to make contact and non-contact measurement. 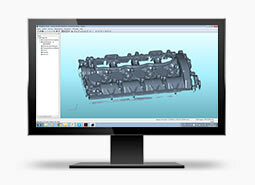 Skyline 3D scanners are price competitive and allow a quick return on investments. Skyline OPEN is the most affordable in the Skyline range. The range offers the best solution whatever are the needs and challenges: three models to choose depending on the accuracy and measuring volume requirements. 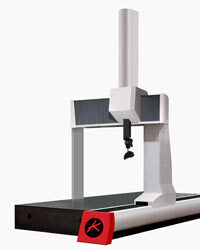 The Ace Skyline scanning arm is the ideal portable CMM, easy to use and ergonomic. This is a “must have” in any metrology room or workshop.